I wish I could tell you all the insider marriage tips to having a fabulous marriage, but honestly, I have no clue! This series is not about me teaching you how to better your marriage, but us learning together. A few months ago, my husband said something to me that really stopped me in my tracks. He told me that he didn’t always feel loved and didn’t always feel like a priority. Seriously, who wants to hear that? I know I don’t! My intentions have never been to make my husband feel like he has to compete with anything else in our lives. This year, I’m committing myself to improve my marriage. 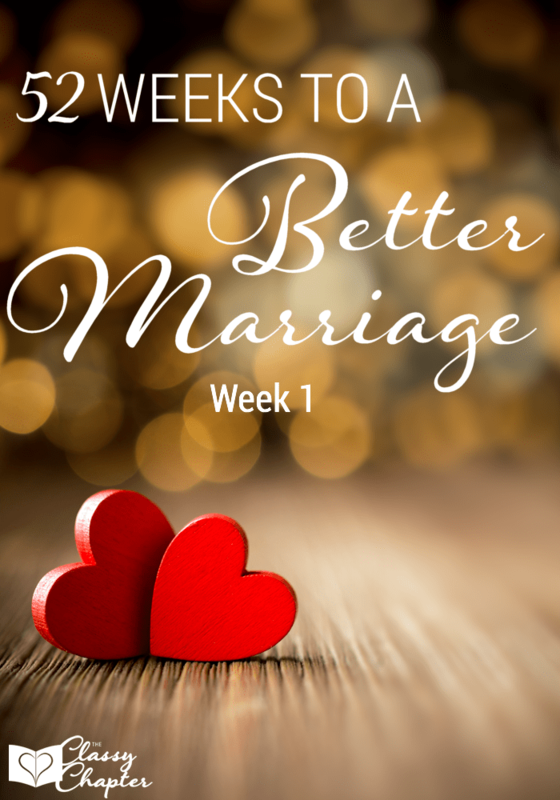 Each week, I will be putting up the different things I’m doing to make sure my marriage stays a priority! Sometimes the smallest things really do mean the most. Almost every morning my husband makes me a pot of coffee, yet I don’t even think he knows how much I appreciate it. He leaves to work before I wake up and it’s nice to start my morning off with fresh coffee the minute I wake up. He also opens the car door for me every time I get in. If I’m walking ahead of him, he will make it a point to speed up his walking just so he can get to the truck and open the door for me. While I can open my own door, it’s a sweet gesture and I love that it shows my daughter how a lady should be treated. These are just a few of the sweet things he does for me. The list could really go on and on. However, it got me thinking…what do I do for him? Sure I take care of the kids and cook but those are things I’m going to do no matter what. My husband loves when the bed is made. Personally, I could care less if the bed is made. More times than not this means the bed is never made! It drives him nuts that he has to fix the sheets and blankets before bedtime. You can almost see his disappointment when he goes to get in bed at night and the sheets are a mess. This week, I’m going to make it a point to make the bed every single day. It’s small and kind of dumb, but it will make him happy and that’s what matters. It will let him know that I listen and that I care about the things that bother him. Sometimes, it’s those small acts of kindness that we do for each other that mean the most. Your goal this week: Find something small you can do for your spouse that will put a smile on their face. If your marriage is facing some struggles, this is a must read post! 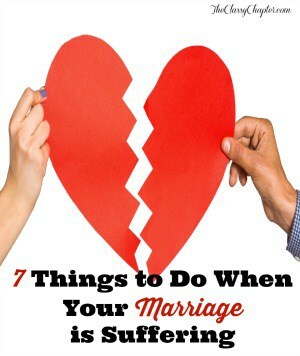 Make sure to check out the post on how to fix a marriage that’s having trouble! Your husband sounds like a Godsend but I think everything that he does is out of love and I wouldn’t expect anything else from a husband. I told my fiance last night that I don’t feel loved or like a priority to him either, something has to change and I hope it will. He is pretty awesome, I’m lucky! It sounds like your fiance also needs to make some changes and I hope he does. I’m happy you spoke up about it, we all deserve to be loved and be a priority. I think this is such a great idea for you. Its important to always be working on making a better marriage. It is actually one of the thoughts I’ve had for myself, is that my husband always does so much for me, and while I do most of the cooking and cleaning…maybe I need to do special things, like you have realized. I think just being aware of trying to improve your marriage is important! Samantha Angell recently posted…What Motivates You? As bad as it sounds, it’s not natural for me to be super loving. It’s a big flaw of mine and I’m actively working on it. Best of luck to you as well!! Sometimes the small things make all the difference. My husband treats me like a queen and I know I am very lucky. He is in the doghouse at the moment, though….uh oh. I’m pretty sure with three children, my husband feels the same. I’m going to do the same as you by making sure the living room is clean when he gets in from work. I forget how they need to be shown love too sometimes. It’s great that you and your husband are so honest with each other and open to improving your relationship. I bet he will feel loved and appreciated again in no time! My husband does small sweet things for me too! Just last night, he got an extra heater and covered me with an extra blanket because I was shivering in my sleep. So sweet and amazing! Echo recently posted…Ask Away Friday Has A New Host! Your husband sounds like a really great man, it’s sweet you notice these small things and want to do one of your own for him; it’s really sweet! He is awesome and deserves it and so much more. ,,preparing into marriage is like a play, you better deserve to accept the challenges,, i love my wife, i treated her like my personal belongings, lol.. the important is you have both give love and had a spark to each other.. These are some great tips! Marriage really should be eternal, I feel like you should really get to know the person and know them completely. Thanks for sharing. This is a great post indeed. I think it was amazing that your husband told you how he felt and than you are stepping up to make him feel better. It is sweet of both of you. It doesn’t matter how stupid the little things are just that you know they will know you are doing it for them. Thanks for sharing. Make the bed already! I get it. I’m like you and my hubby is like him. I also have come to appreciate that this one small act means a lot to him. It shows you care and respect him. I’ve been married for over 21 years. I hate making the bed but I do. Trust me…just make the bed. I’m going to smile more. He tells me that I don’t smile as much as I used to and he loves to see me smile. This is a really good idea! I know what you mean about the smallest things meaning so much- that’s what counts for us ladies, right? It’s the little ways that he lets you know he’s thinking about you during the day kind of thing. My hubby and I don’t have the perfect marriage (who does?) but we got through some really rough times and I highly recommend It’s Mostly His Fault by Robert Alter. Although it sounds like a negative thing, the book is absolutely fantastic. My own spouse said, “It’s life changing.” It quite literally saved my relationship. Thank you for the book recommendation. Will definetely check that out. I love these likes this to better your relationship with your spouse. Sadly, I started 2015 single, going through a divorce actually, lol. Best luck to you though. Aww, I’m sorry to hear that. I hope 2015 ends wonderfully for you! My husband could say those same words about not feeling like a priority. He does a lot more of the sweet little things for me than I do for him. Thanks for this reminder and encouragement! I think making the bed for your hubby is a wonderful way to start showing him daily love :). I’ll have to find something to do this week too! I guess we should also be thankful that we have such awesome hubbies!! I’m very interested in this. How can I get past week 2 to continue with it? Hi Stef! There is a marriage tab at the top of the page, you can find all the posts there and I’m always adding more. I love this post and I can’t wait to read the rest of this series! It’s so easy to get caught up in the every day and forget to be appreciative or do the little things in return. Thank you!